Here at 50:50 Parliament, we are passionate about achieving a gender-balanced government. We drive that mission by encouraging, inspiring and supporting women’s political engagement. There are lots of ways you can support the group. For the May edition of 50:50 Voice (our new e-magazine!) 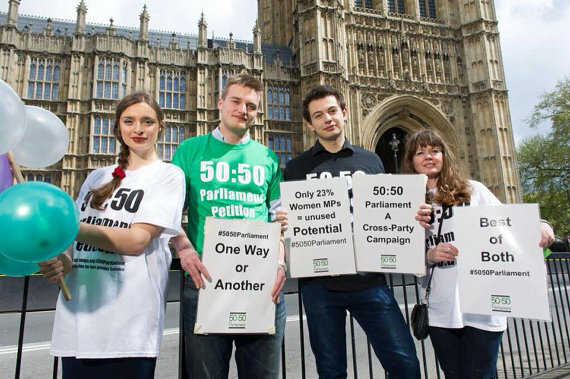 we have come up with 10 ways you can support 50:50 Parliament. We hope that you get involved with our fantastic initiative, let’s build a better democracy together! 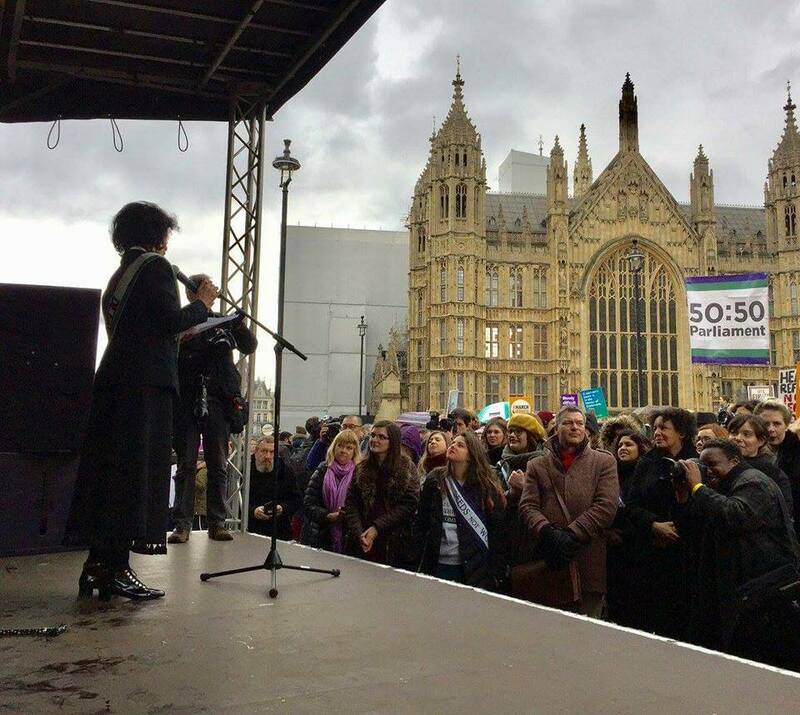 If you identify as a woman, and you think that you might like to stand for Parliament, 50:50 is here to help. We will guide women along the path to Parliament making introductions to their preferred political party and supporting them along the way to Westminster. Sign up to stand here. Do you know a woman who would make a great MP? Then #AskHerToStand! Studies have shown that women are half as likely than men to consider themselves as potential candidates for elected office, and they need to be asked (on average) three times before they will consider standing. A little nudge from you might make all the difference! Ask her to stand via 50:50 here. We need a more gender balanced House of Commons, around 50:50 men and women. Please collaborate and do something: debate and take action to make Parliament more gender balanced, like life.”If you agree then say so and SIGN. Our Ambassadors act as a megaphone to the rest of the country, telling people who we are and why gender equality at Westminster is essential. We need enthusiastic people to promote the 50:50 Parliament cause and our #AskHerToStand initiative – to bring about real change. Find out more here. 50:50 supporters often come together at our regular events, and we would love for you to join us! Find out more about our meet-ups on our website or on our Facebook page. On June 10, 50:50 Parliament are joining ‘PROCESSIONS’ for a once-in-a-lifetime opportunity to take part in a mass participation artwork to celebrate one hundred years of votes for women. 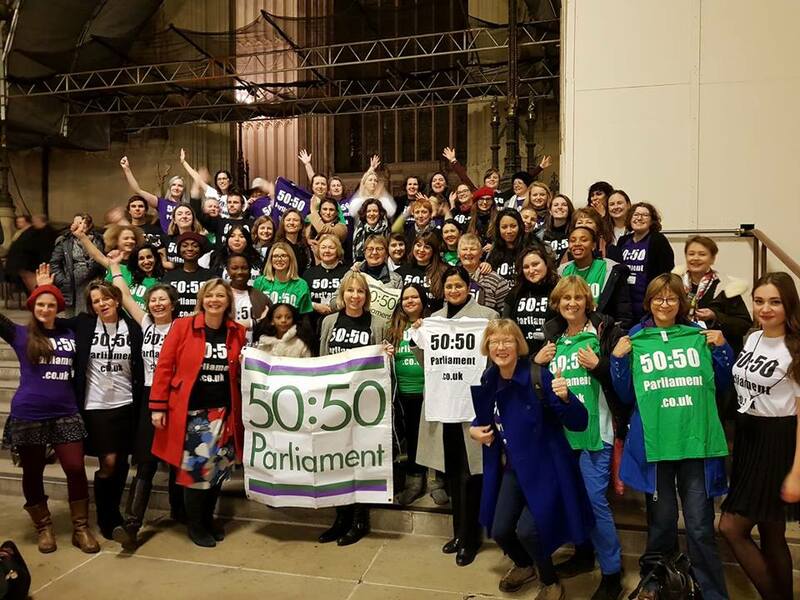 The 50:50 Blog is a place where we talk about the movement, share inspiring stories and discuss gender balance in Parliament – to help reach more women and inspire more action. Would you like to write for us? We are always looking for contributors to write opinion pieces, event reviews and posts that share learnings. We have tons of great merchandise on our Etsy shop – why not show your support for the group with a 50:50 tote bag or statement t-shirt? All donations help fund our initiative to reach and support women in being elected to Westminster. Any contribution will be greatly appreciated! Donate here. Follow us on social media to keep up-to-date with all 50:50 news, blog posts and events. We are on Facebook, Twitter and Instagram. Help spread the word! 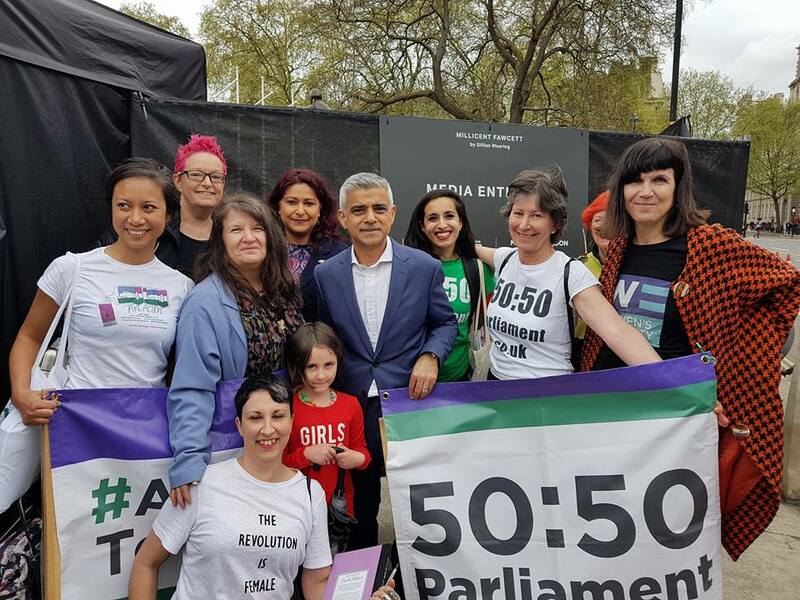 You could give a 50:50 presentation at a school, organise a suffragette-themed party or take a special 50:50 photograph in front of a famous landmark!